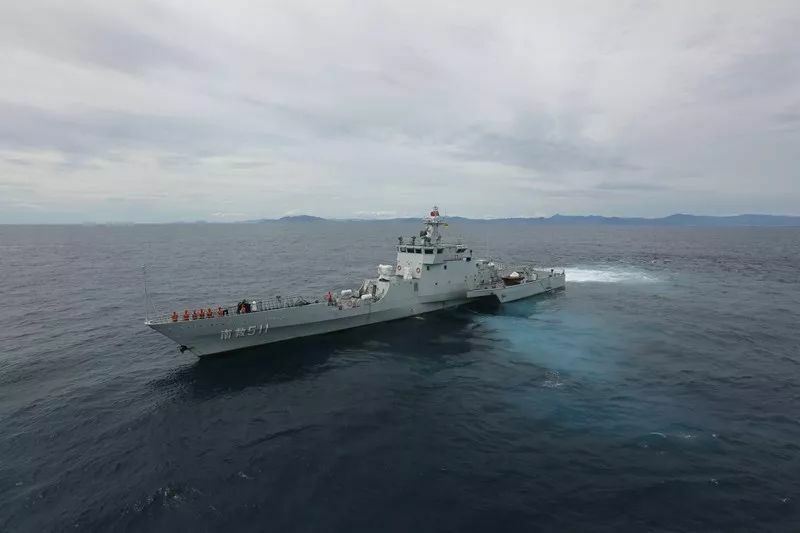 The China Defense Blog brings us some more pictures of the Chinese Navy’s trimaran rescue vessel. Earlier posts here, here, and here. Sorry, still have not seen any specs. Thanks to Sven for bringing this to my attention. This entry was posted in SAR, Ships by Chuck Hill. Bookmark the permalink. Apology for the off topic, Chuck, but it’s time for taps. This link has more info. No need to apologize. Sad but inspiring. Maybe I should have a page for this sort of thing. Here’s a blurb from Feb last year with some specs, not surprising that the model has a sonar dome. Chris, that is a different, larger design, the SAR vessels may have served as prototype for the frigate’s hull form..
Got it, I didn’t take a close look at the pictures, my mistake. Looks suspiciously like someone’s been having a peek around the old RV Triton prototype they sold to Oz for coastguard use once the UK & US were done testing.